It is fascinating the way that the weather has been changing during the last weeks. 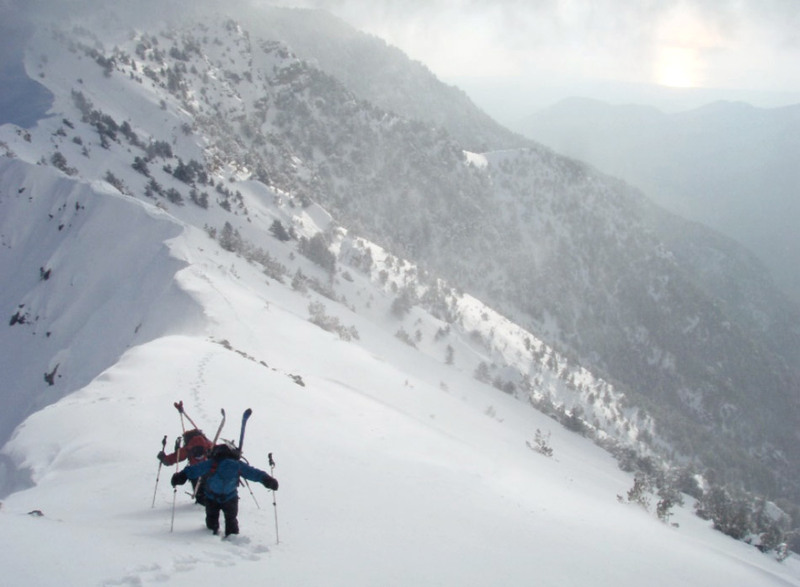 In just a weekend Mount Olympus got hit by a front loaded with moisture from the Aegean Sea that fortunately resulted in excessive snow accumulation above 1200m. The video of our fellow Austrian skier Martin Mitzel and his friends is indicative of the snowfall event between 12 and 13 of March. Snowfall ensued over the week between March 13th and 20th and even though we are still in below-average conditions, skiing during the previous week was fun. Breakfast skinning up right after exiting the tree line above Petrostrouga refuge. Topping out the ridge of Laimos to enter the Plateau of Muses. 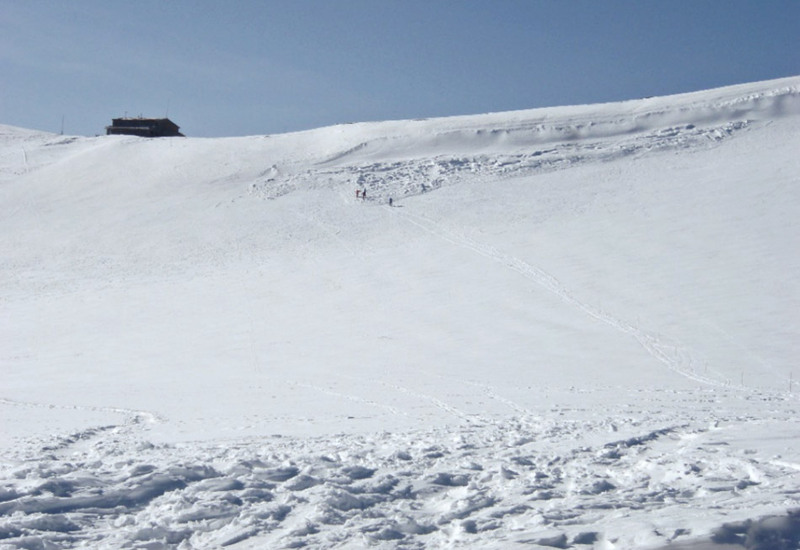 Avalanche danger remained high as the northwest wind continued to accumulate on the lee (east, southeast) slopes above the frozen brownish Sahara laden snow. Neither the first, nor the second, nor the third but the fourth skier releases a big slab avalanche on the Plateau of Muses. Continuous wind-blown accumulation above weak layers made the eastern slopes dangerous during last weekend. The beginning of the current week (March 21st) brought a rapid change in atmospheric circulation, the northerly fresh winds ceased and temperatures rose rapidly as gales from the south hit Mount Olympus. Pronounced deposition of Saharan dust was obvious all over Greece. Gimme shelter. 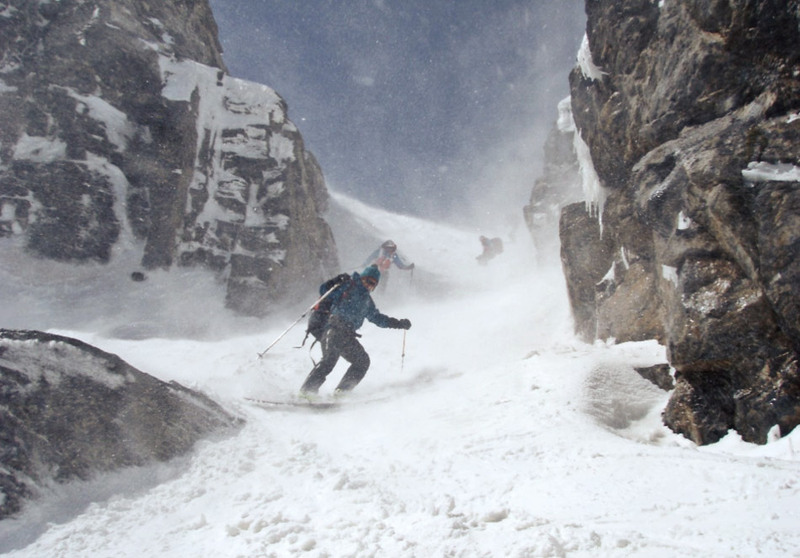 Entering Gavos central couloir only to be protected from the gales on the Plateau of Muses and enjoy the ride of the last week…with skiing down from 2650 to 1300m. As I type this update, the weather pattern has changed once more, with fresh winds from the north, snowfall and freezing level depression to 1200m. 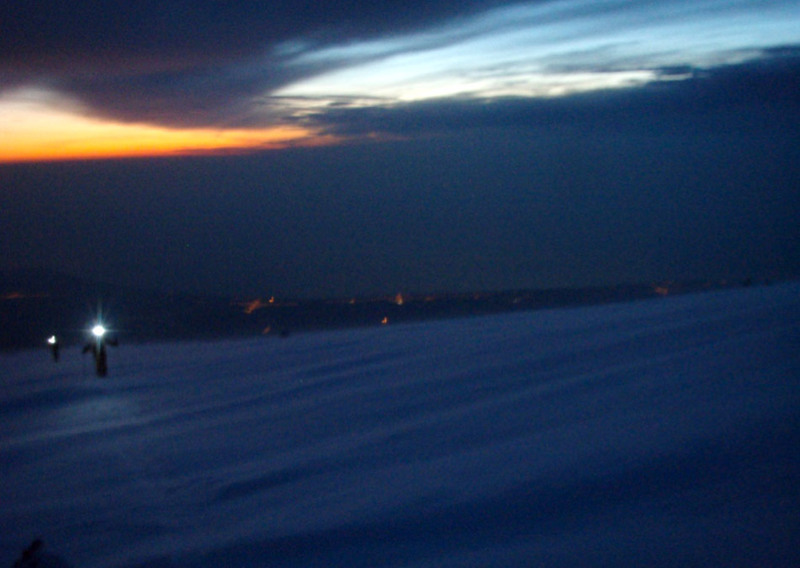 White versus Brown snow, or Cold versus Warm temperatures has been the norm of this winter. Let’s see which pattern will prevail in the end.